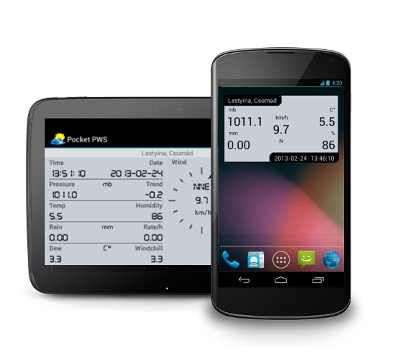 Pocket PWS – For Android. Have questions? Need support? Don't hesitate! If you like the app, please donate!